At Rocket Referrals we’ve had success implementing the Net Promoter Score (NPS) survey into our software. We gather hundreds of surveys responses for businesses (most of them insurance agencies) which allow them to measure the loyalty of their client base. Although we automate much of the follow-up communication for our agents, we also suggest that they respond via phone call to some of the respondents. Ideally the agent could personally call every client that completes NPS survey, but it’s more practical to focus on those that fall within a specific score range. Below we’ve created three groups ranked in priority based on the NPS score. Included is an explanation of each category, as well as a guideline with key points to cover on the phone call. Each are based on research and comprise best practices that promote higher retention and positive word-of-mouth. By and large, clients in this range are particularly dismayed with the agency and are at high risk of defecting. The purpose of the call is to identify the reason behind the low score, and offer a resolution to the issue. Ultimately the goal is to convert these detractors into promoters to improve client retention and promote positive word-of-mouth. Indicate that you are always only a phone call or email away, that you’ll be sure to reach out more frequently, and that you will address any specific issues they had. Keep in mind: Rocket Referrals analyzed data from over 20k survey responses from clients of insurance agents and found that 81% of all negative feedback resulted from the absence of regular and meaningful communication from the insurance agency. That being the case, although calling disgruntled clients is a start, there is still a need to implement a long-term communication strategy. People answering in this range are generally lukewarm about their agency. Although they are likely not actively looking to buy insurance elsewhere, they’re indifference causes them to be open to offers from competitors. We’ve found that insurance agents tend to pay little attention to passives; opting instead to spend their time addressing detractors or encouraging promoters to refer them. However, we caution agents against neglecting passives, as there is more to be said about their score than originally thought. An agency’s goal should be improving the client experience as to nudge passives to becoming promoters, rather than allowing them to end up as detractors. This group is your promoters. The goal is to encourage them to take action on their willingness to refer, as well as search for cross-sale opportunities and act on them. 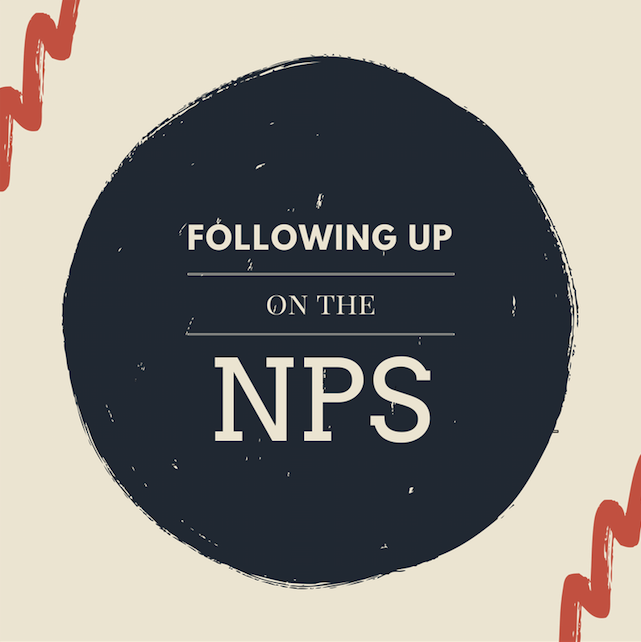 Clients scoring high on the NPS survey are an excellent opportunity for revenue growth. They’ve indicated a likelihood to recommend, so the responsibility lies on the agent to make it easy for them to do so. Following the phone call the agent should encourage written testimonials, social media shares, online reviews, and the like.